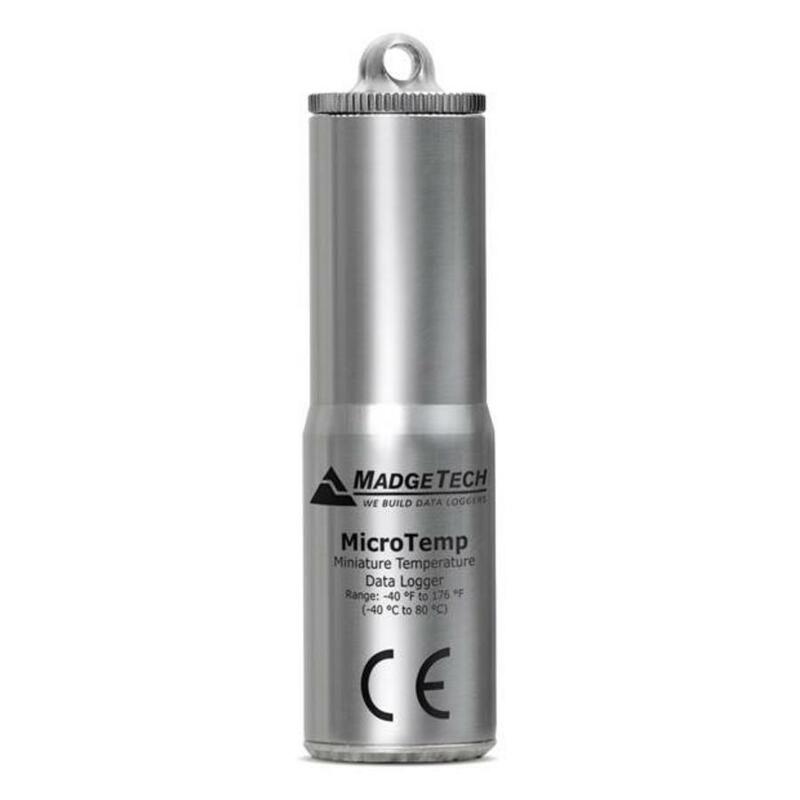 Rugged, Submersible, Miniature Temperature Data Logger. 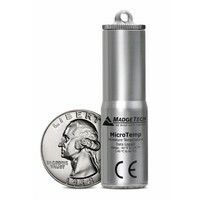 Available in Stainless Steel or Titanium. 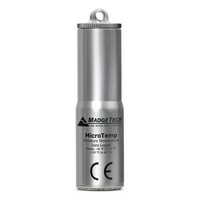 The MicroTemp is a miniature, submersible, self-contained temperature data logger. 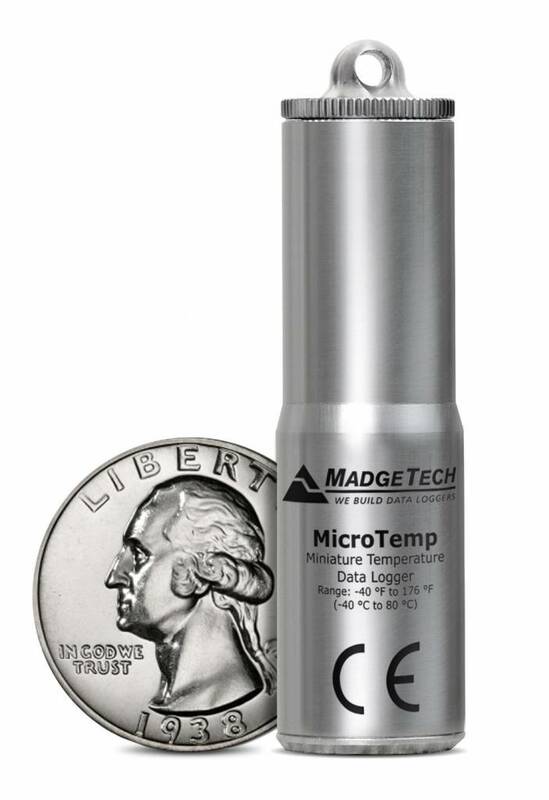 Only 2.6” (66mm) tall and 0.7” (18mm) in diameter, this data logger can easily fit into the smallest spaces. 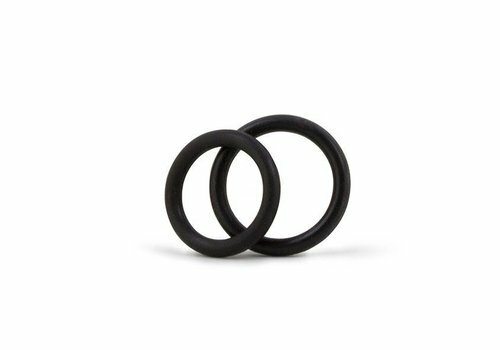 It can even fit down the neck of most beverage bottles! Don’t let the diminutive size fool you — this is an industrial grade instrument which boasts an accuracy specification of ±0.5ºC and will operate in temperatures from –40 to +80ºC. 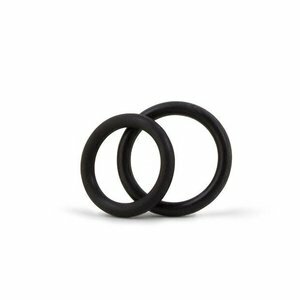 Its food grade stainless steel casing makes it inert to most common fluids and gases. It can measure and record data with user-replaceable batteries for up to one year (typical use) and downloads data (32,767 readings) quickly to your PC. MadgeTech’s miniature technology opens up new options for documenting and ensuring proper environments for pharmaceuticals, biomedical research, food processing and transport. Our easy to use, yet versatile software not only allows you to view the data in common temperature units such as ºC and ºF, but also in Kelvin and Rankine. 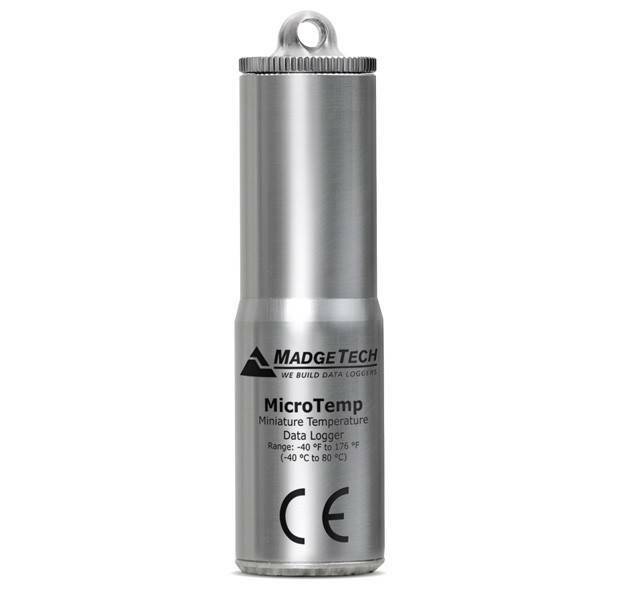 Additionally, the software will automatically calculate Pasteurization Units (PU), F0 and Mean Kinetic Temperature (MKT) saving you time.